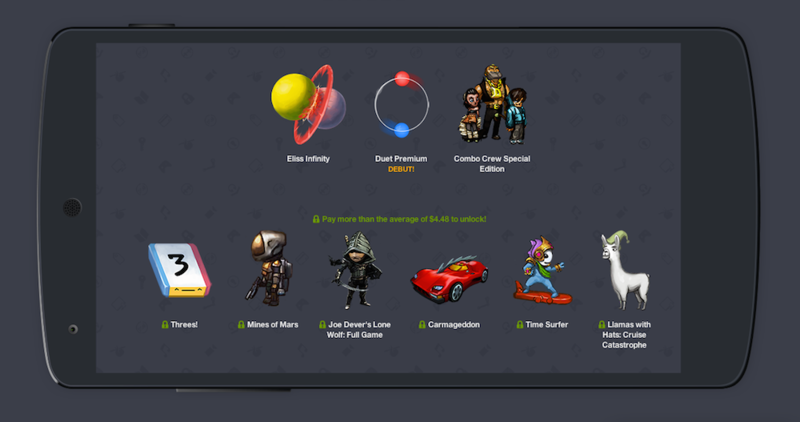 Last week, Humble Bundle 6 was made available for Android users, and now, more games have been added for those who donate over the average price, which is currently $4.48. The games previously available were Threes, Mines of Mars, Duet Premium, Joe Dever’s Lone Wolf (full game), Combo Crew Special Edition, and Eliss Infinity. Added today is Carmageddon, Time Surfer, and Llamas With Hats. Again, being able to grab all of these games for under $5, plus to have it go to charity if you so choose should be a no brainer. We have written up most of these apps before, and I can tell you that they are all very good titles, worthy of your donation. Go check them out right now before they are gone.